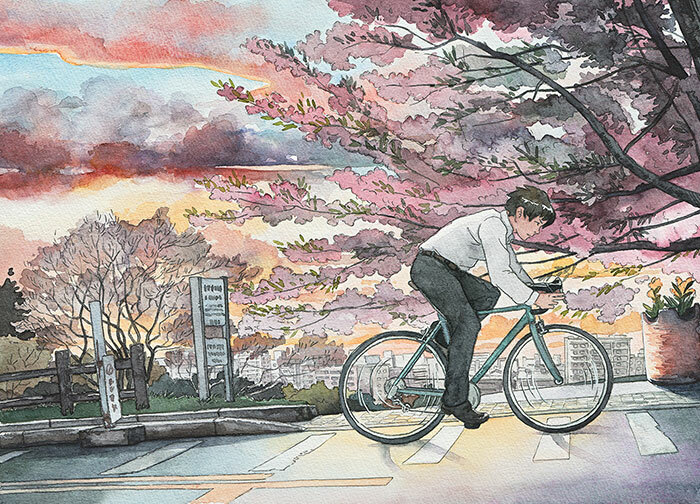 A series of watercolor illustrations of a boy and his bike cycling through the picturesque streets of Japan by digital creator Mateusz Urbanowicz based in Tokyo. 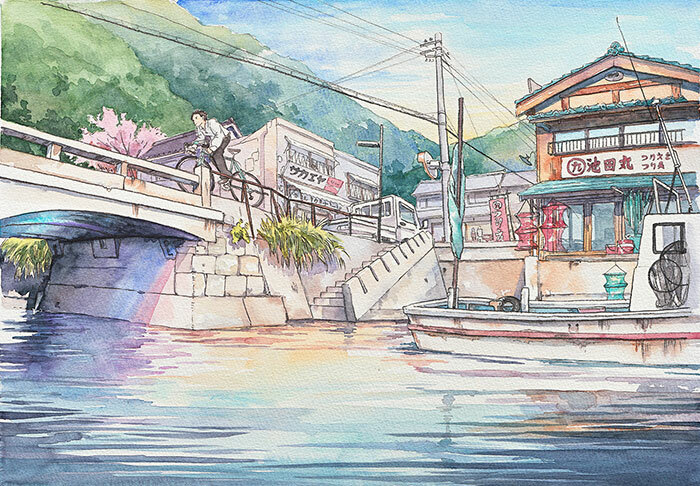 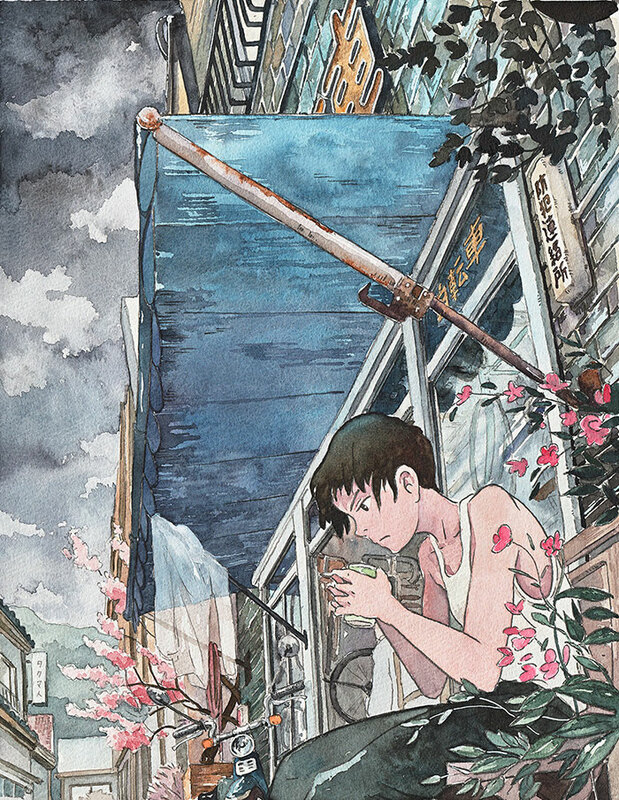 The series was inspired by the Studio Ghibli film Whisper of the Heart and was based on photographs he took of the Seiseki Sakuragaoka neighborhood, located just on the outskirts of Tokyo, that was used as a setting in the movie. 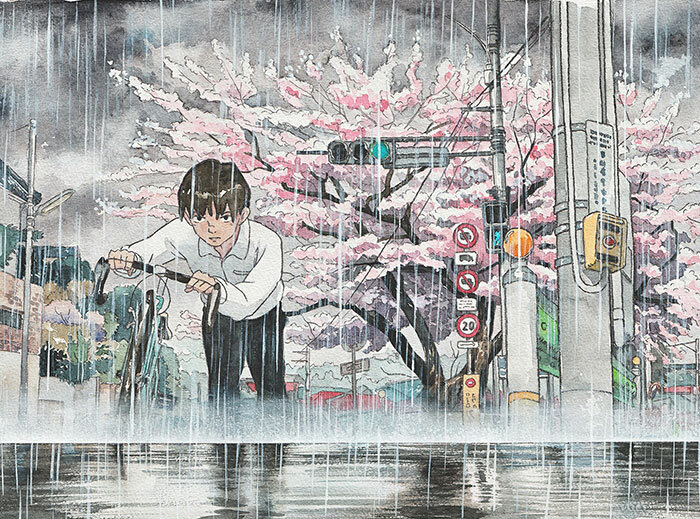 This project started as something I did just for fun in my free time. 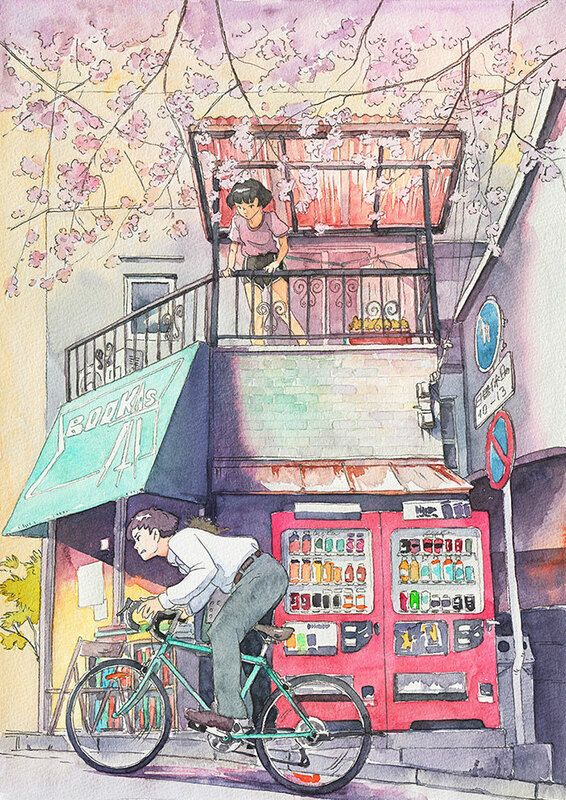 Inspired by the animated Studio Ghibli movie Whisper of the Heart, I did the first watercolour illustration which quickly spread through the Internet. 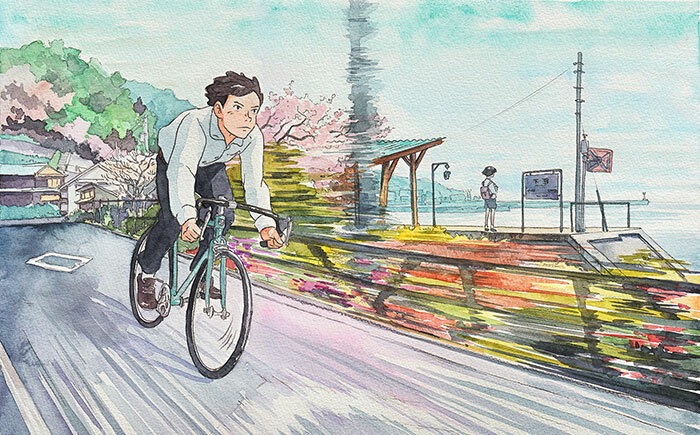 Following this, I decided to make a 10-piece series about the bicycling-it-hard-boy through his day as he fights to reach his goal. 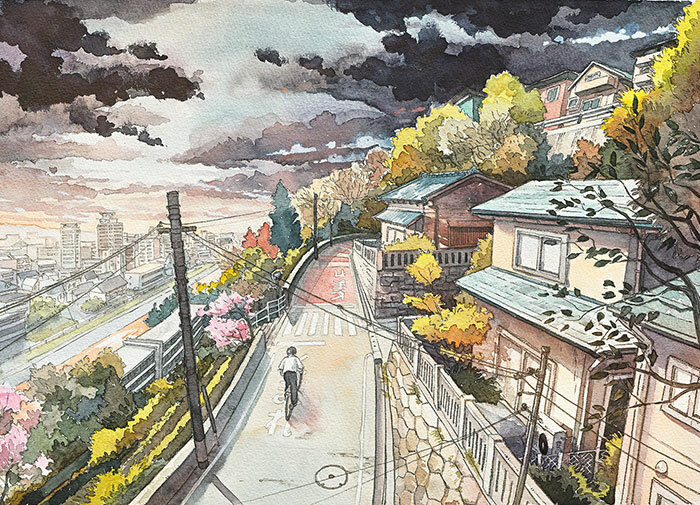 The images are arranged from top to bottom in the order he painted them so the story makes sense. 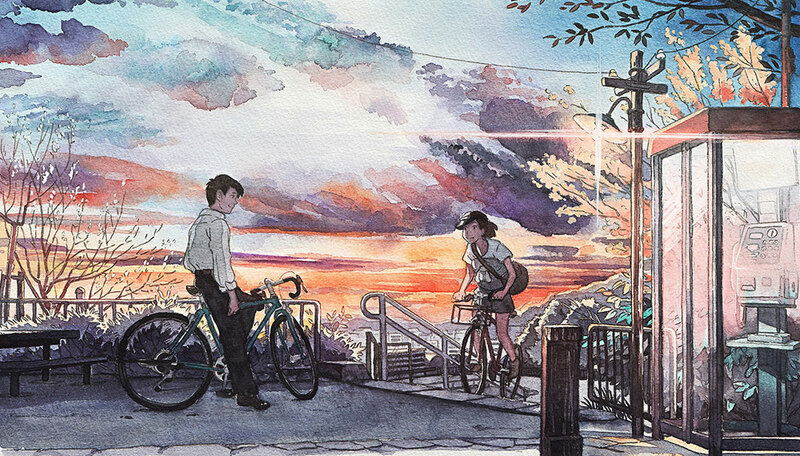 The boy's goal was to meet the girl at the end which explains why he was in such a hurry. 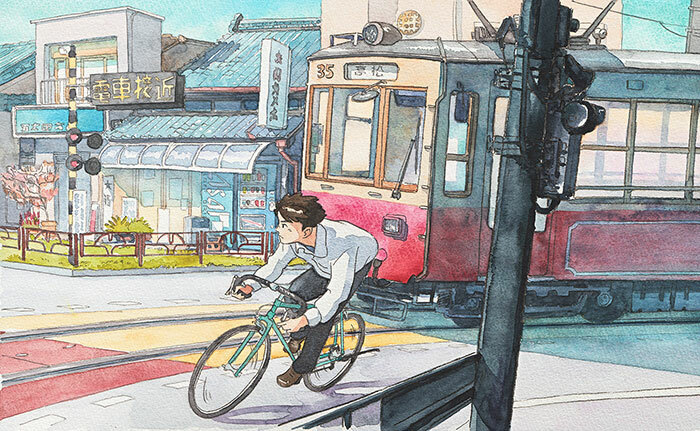 A series of watercolor illustrations of a boy and his bike cycling through the picturesque streets of Japan by digital creator Mateusz Urbanowicz based in Tokyo.